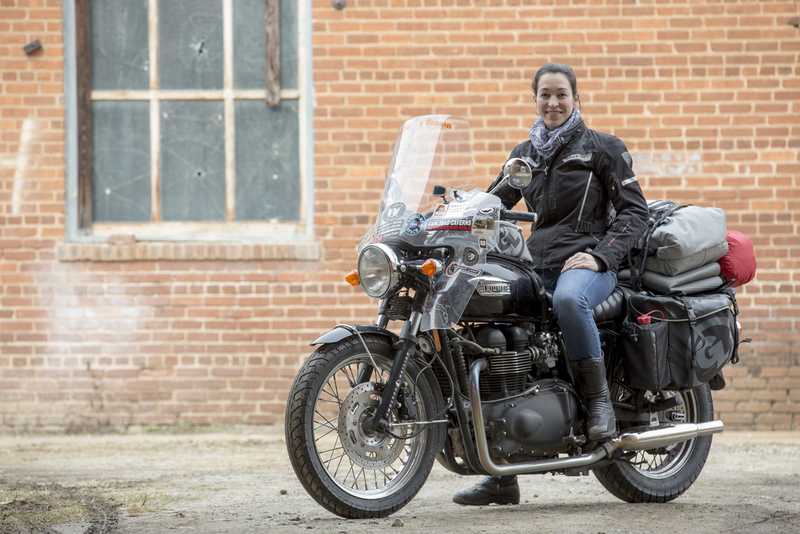 We are proud to introduce that Triumph Motorcycles is sponsoring Babes Ride Out events this year! With a long history of building speed machines; Triumph has recently released an impressive new fleet of motorcycles! 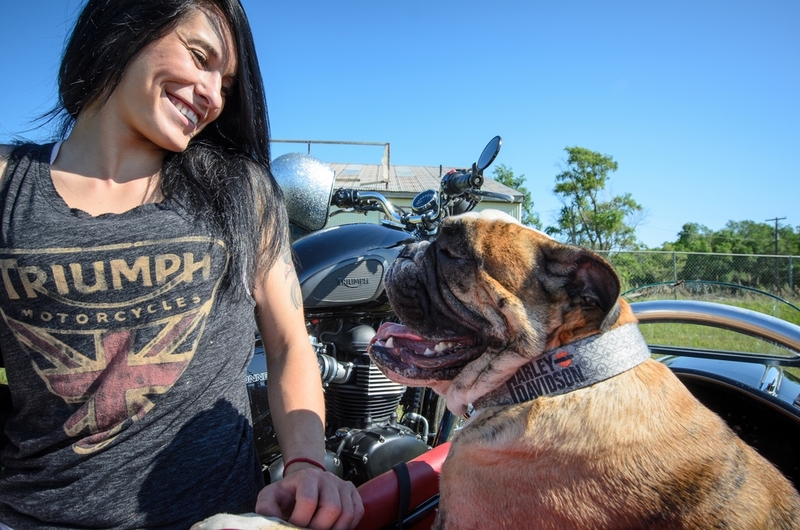 Get to know a little about how Triumph was built and why they support Babes Ride Out! In 1887 the Triumph Cycle Co. was founded by Siegfried Bettmann in Coventry, England to manufacture bicycles. We built our first motorcycle in 1902, appropriately named the “No. 1.” This makes us the oldest continuously produced motorcycle brand in the world. Triumph’s modern era (or commonly referred to as Hinckley-era) began in 1983 when British entrepreneur John Bloor purchased the intellectual property rights to the Triumph marque. The company's global headquarters are now located in Hinckley, Leicestershire, England. 2016 has been an extremely exciting and eventful year for Triumph Motorcycles. 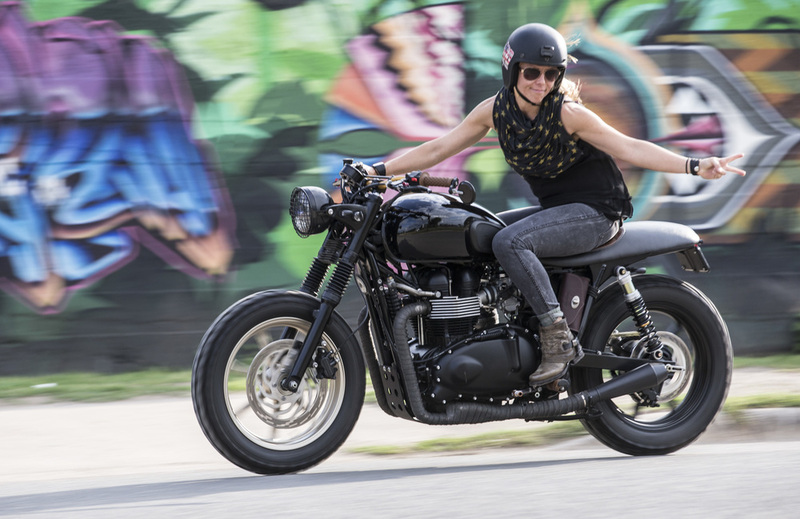 The beginning of the year marked the launch of an entirely new Bonneville family of motorcycles – five new models which include the Street Twin, T120, T120 Black, Thruxton and Thruxton R. It has been the largest and most successful product launch in Triumph’s celebrated 114 year history. What bike models do you recommend for new riders? Depending on your style of motorcycle - among our Modern Classic line, the new Street Twin is an outstanding bike for new riders. Among our Cruiser line, the America and Speedmaster are recommended. Among our Roadster/Sport line, the Street Triple is an excellent bike and among our Adventure line, the Tiger 800 XRx or XCx (or XRx Low/XCx Low for shorter riders). What bikes do you recommend for women? 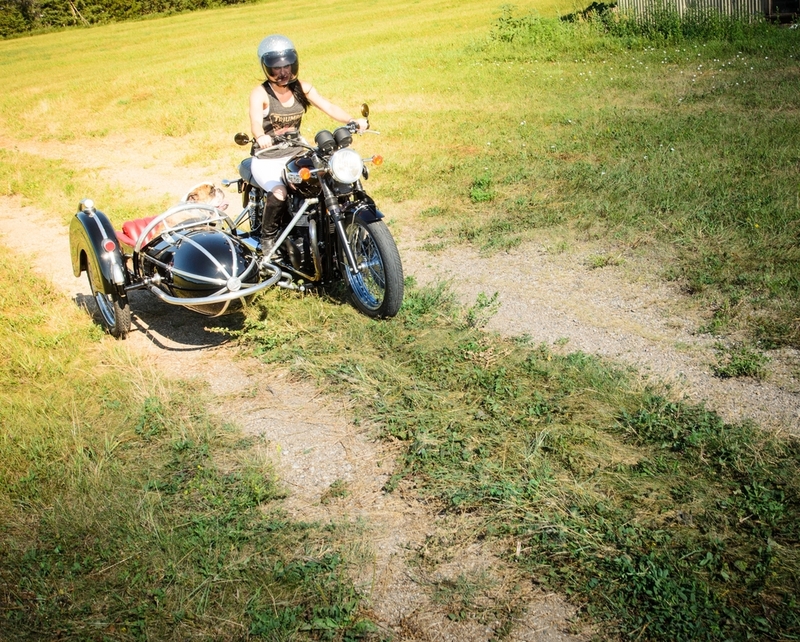 All of our motorcycles are excellent for women riders, depending on their level of experience. For riders with less experience or riders looking for a shorter seat height, the Modern Classic range including the new family of Bonnevilles all feature a short seat height and slim profile which make for an easy reach to the ground. The Street Twin, T120 and T120 Black are an excellent introduction to Triumph motorcycles for newer riders and the Thruxton and Thruxton R are higher powered, more aggressive models fit for more experienced riders. Our Cruiser models all feature an easy reach to the ground and low center of gravity for easy low speed maneuverability. The lighter, smaller America and Speedmaster models are perfect for newer riders with larger, higher torque models like the Thunderbird and Rocket III more appropriate for experienced riders. 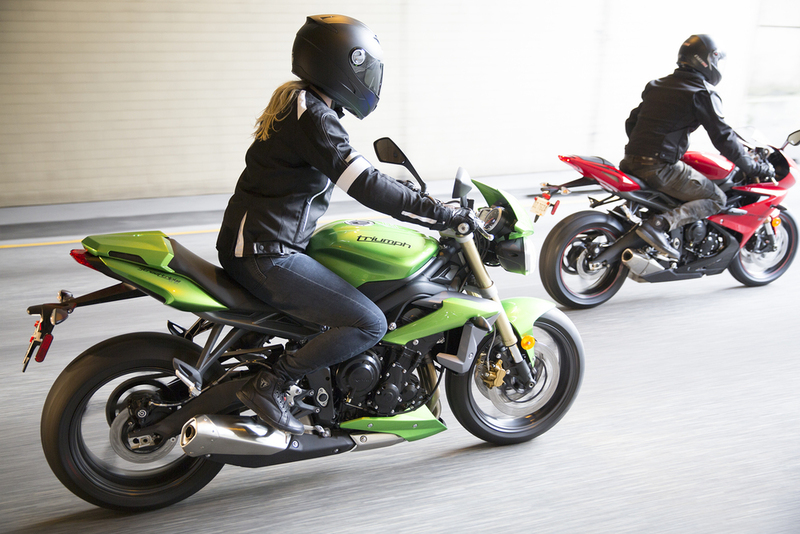 For our Sport/Roadster models, the smaller, lighter Street Triple and Street Triple R have been a longtime favorite for both new and experienced riders, with the more powerful Daytona 675, Daytona 675 R, Speed Triple and Speed Triple R aimed for the more experienced. Finally, among our Adventure models, we feature low-seat-height versions for both our Tiger 800 and Tiger Explorer models for those wishing to have an easier reach to the ground. What makes a Triumph motorcycle a Triumph motorcycle? Triumph is known for the premium quality and impeccable finish of our motorcycles, as well as their unmistakable “British” character. Part of this character is defined by the uniqueness of style – nothing else on the road looks like a Triumph, they are classic, iconic and immediately recognizable. Part is defined by the fine handling characteristics Triumph is famous for – British motorcycle engineers have long maintained a reputation around the world for producing some of the finest handling motorcycles in history. And part of our character is defined by our engines, specifically the parallel twin and inline triple layouts that provide strong torque delivered in a very smooth, linear spread of power across the rev range.